THURROCK Independents, the new residents party in Thurrock, can announce that all 17 Councillors have resigned the UKIP Local Government Whip and joined the party. This makes Thurrock Independents the official opposition on Thurrock Council. In a statement the Group Leader of Thurrock Independents, Cllr Graham Snell, said: “Thurrock Independents have the only councillors in Thurrock whose prime concern will be Thurrock residents. They are not compromised by a slavish attachment to a national party. The party will only be standing in local elections. Our entire group joined Thurrock Independents as we have had enough of the aggressive and bitter reality of party politics. Our councillors have won widespread admiration for their hard work even from residents across the political spectrum. 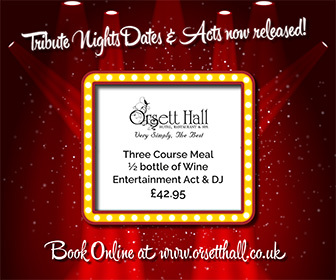 We hope that these admirers will now be able to support Thurrock Independents. Our logo represents the ethos of our party; hard graft, working together towards common goals, sacrifice and the importance of the protection of our environment. “Our mission is to maximise the quality of life of all Thurrock residents not gain power for power’s sake. We will fight for better council, health, and emergency services. We will demand a new benchmark in customer service from public bodies to ensure all residents are treated with respect. We will fight to protect Thurrock’s environment. We will pursue policies to maximise and prioritise the access that local people have to housing and jobs. The Thurrock Independents entirely reject traditional ‘Punch and Judy’ politics. We will respect our opponents at all times and will after the 2018 local elections be willing to cooperate with other Councillors who also adhere to this standard. “Thurrock Independents opens its doors to all Thurrock residents. Whether you have voted Labour, Tory, Lib Dem, Green, UKIP or don’t normally vote, matters not. If you are committed to improving Thurrock for all then you can find a home in the Thurrock Independents. If you wish to join us then please contact us at chairman@thurrockindy.org or 07397 638 923. We will be standing candidates in every ward during the 2018 local elections. We will give the residents that opportunity for real change. 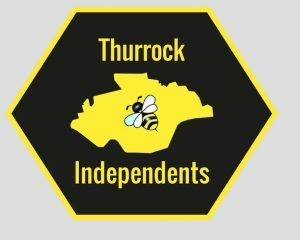 Thurrock Independents Party has pledged to put up a full list of candidates (17) at the local elections in May. 12 Responses to "Breaking: All 17 UKIP councillors leave to form new party"
Lets hope they are not as wet as Labour. Rats deserting the sinking ship. UKIP are in freefall. and not needed now we have brexit. Get your act together FAST or we will all vote Labour. This is bad. all those people who voted UKIP and now we have an undemocratic party. They have no mandate? we all voted UKIP and this is how those TRAITORS treat voters in Thurrock,. I DEMAND A RELECTION NOW. The UKIP councillors are only trying to distance themselves from their joke of a leader. Should UKIP get a decent leader they’ll go running back to UKIP. UK politics are in such a mess all round. There are no true statesmen (or women) anymore. All we get are leftie do gooders screwing it up left right and center or people who haven’t a clue voted for a numnut electorate. If a party came along that put Britain first and and stuck to a manifesto that was fair to the people I am sure it would have a landslide. I guess this is what UKIP set out to achieve but pushed the self destruct button along the way. But please – DON’T vote labour or we are all doomed. Time for a serious change my friend. A party for Britain and fair to all and not for themselves. Thurrock independence group, what happens to the UKIP offices in grays town centre, which I assume are registered to UKIP, and also I presume the lease would belong to UKIP. I agree with booboo. It does look like Tim Aker is remaining an MEP for the money, something I believe will spell the end of his career. TIM, do the honorable thing, step down and fight whatever election is needed and show us your not just in it for yourself. I think you will gain a lot of respect if you do.